after a couple of months, finally the uefa champions league is back – the decisive phase is upon us, and great matchups promise great matches, like the one this evening between barcelona light (arsenal fc) and fc barcelona. 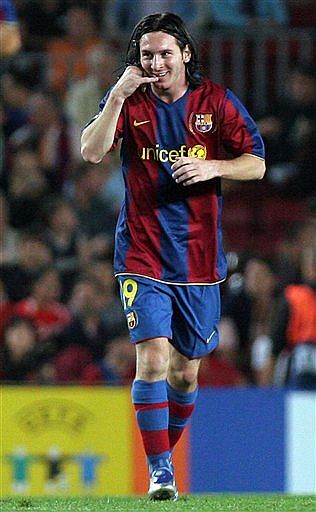 be sure to catch that one, and hope for a messi and/or van persie show – or some great action from iniesta, villa, xavi, arshavin, cesc fabregas chamakh and so many more. fabregas, who wanted to move to barcelona last summer, will be especially motivated! yesterday, i watched a fascinating match between 500 million euro debt against 250 million euro debt. valencia c.f. played schalke 04 at home, raul played on spanish soil again. it was fascinating not because it was a great game (which it was not, although it wasn’t a bad game either), but it just shows who how this very specific sport is. after around 10 minutes of cautious play, valencia started playing with the confidence of five wins in six matches, this year. high velocity football with technical quality, extremely well organized as a team, not leaving any breathing time for the schalke defenders and midfielders. schalke seemed almost always late, and when the got a ball, it would be a matter of seconds for valencia to get it back. agressive pressing, concentrated passing and positioning – but only one goal by roberto soldado, who sat on real madrid’s bench for a long time because of raul (and, more towards the end, besides raul). 1×0 was not enough for valencia, and they deserved to be two up at least, even if schalke striker klaas jan huntelaar did miss an incredible opportunity, showing off his horrible form of the past months. 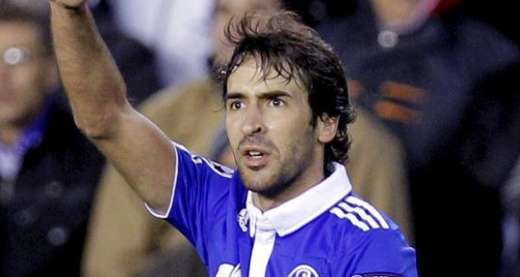 raul was the hero in spain, yesterday. the second half was even more frightening for the german fans in valencia, around 2000. schalke lost the ball even faster, metzelder in central defense and matip in central midfield were having a horrible game, and it seemed a question of time until valencia scored their second goal. and you already felt it in the air, after that it could be a catastrophe for schalke, and glory for valencia, just like their matches against bursaspor earlier this champions league season. but after 65 minutes, lukas schmitz (young, inexperienced but talented left back who has having a terrible day) succeeded in a fast forward pass to the spaniard jurado (talented but sloppy, also having a bad day), who passed the ball to raul. perfect goal from an experienced attacker, literally beating the keeper and defender navarro at the same time and scoring the incredibly unfair equalizer. in any other sport, a team like schalke would be down so far that this lucky, but still brillant punch could start a momentum leading to a change in the game, but it wouldn’t necessarily. but in football, it was as if the game restarted, with now less than half an hour to go. valencia had invested a lot, and the 1×1 scoreline didn’t seem to compensate that effort. the legs became heavy and tired. they would not be able o produce any dangerous chances until the end of the match, even with chances being created. the physical force just left them, and the mental went with it. schalke was not strong enough a team to take advantage and actually win the game, which they would have, had they played a football even similar to valencia’s display in the first hour. at the end, 1×1 wasn’t even an unfair result, although no one would dare dispute the fact that valencia played much better than schalke. that’s this strange game. now, 79,000 people will watch the second leg in gelsenkirchen, and schalke will be the favorite to advance to the quarterfinal – just because of one genius moment in the match. that’s football, as they say.